34) P. Piotrowski, J. Bukowska, B. Pałys, R. Pomorski, M. J. Chmielewski, „Sulphate sensing in self-assembled monolayers by surface infrared and Raman spectroscopy techniques” Sensors and Actuators B: Chemical 2019, 283, 172–181. 33) Z. Kokan, M. J. Chmielewski, „A Photoswitchable Heteroditopic Ion-Pair Receptor” J. Am. Chem. Soc. 2018, 140, 16010-16014. 32) K. M. Bąk, K. Chabuda, H. Montes, R. Quesada, M. J. Chmielewski, „1,8-Diamidocarbazoles: an easily tuneable family of fluorescent anion sensors and transporters” Org. Biomol. Chem. 2018, 16, 5188–5196. 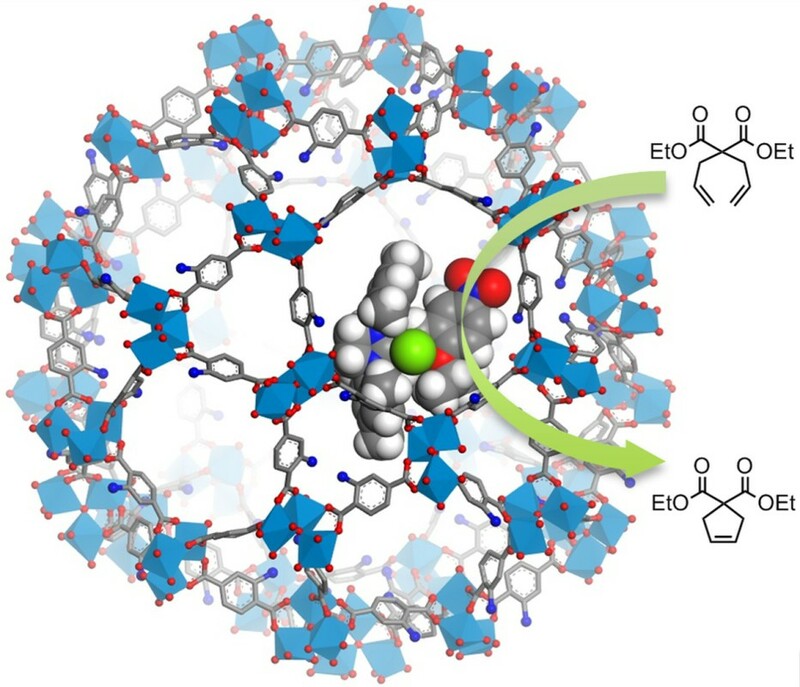 31) K. Zwoliński, M. J. Chmielewski, „TEMPO-Appended Metal–Organic Frameworks as Highly Active, Selective, and Reusable Catalysts for Mild Aerobic Oxidation of Alcohols” ACS Appl. Mater. Interfaces 2017, 9, 33956–33967. 30) A. Chołuj, N. Nikishkin, M. J. Chmielewski, „Facile post-synthetic deamination of MOFs and the synthesis of the missing parent compound of the MIL-101 family” Chem. Commun. 2017, 53, 10196-10199. 29) K. M. Bąk, K. Masłowska, M. J. Chmielewski, „Selective turn-on fluorescence sensing of sulfate in aqueous–organic mixtures by an uncharged bis(diamidocarbazole) receptor” Org. Biomol. Chem. 2017, 15, 5968-5975. 28) A. Fedorczyk, R. Pomorski, M. J. Chmielewski, J. Ratajczak, Z. Kaszkur, M. Skompska, „Bimetallic Au@Pt nanoparticles dispersed in conducting polymer—A catalyst of enhanced activity towards formic acid electrooxidation” Electrochim. Acta 2017, 246, 1029-1041. 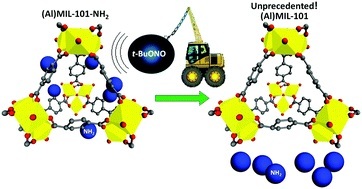 27) A. Chołuj, A. Zieliński, K. Grela, M. J. Chmielewski, „Metathesis@MOF: Simple and Robust Immobilization of Olefin Metathesis Catalysts inside (Al)MIL-101-NH2″ ACS Catal. 2016, 6, 6343-6349. 26) K. M. Bąk, M. J. Chmielewski, „Sulfate Anion as a pH-Switchable Template: Three-State Switchable Systems Based on Diamidocarbazoles” Eur. J. Org. Chem. 2015, 4077-4080. 25) K. M. Zwoliński, P. Nowak, M. J. Chmielewski, „Towards multifunctional MOFs – transforming a side reaction into a post-synthetic protection/deprotection method” Chem. Commun. 2015, 51, 10030-10033. 24) M. J.Chmielewski, E. Buhler, J. Candau and J.-M. Lehn, „Multivalency by Self-Assembly – Binding of Concanavalin A to Metallosupramolecular Architectures Decorated with Multiple Carbohydrate Groups” Chem. Eur. J. 2014, 20, 6960–6977. 23) K. M. Bąk, M. J. Chmielewski, „Sulfate templated assembly of neutral receptors in aqueous DMSO – orthogonal versus biplane structures” Chem. Commun. 2014, 50, 1305-1308. 22) J. Jurczak, M. J. Chmielewski, P. Dydio, D. Lichosyt, F. Ulatowski, T. Zieliński, “Benzopyrrole derivatives as effective anion receptors in highly competitive solvents” Pure Appl. Chem. 2011, 83, 1543-1554. 21) M. J. Chmielewski, “A short, multigram synthesis of 1,8-diaminocarbazole” Synthesis 2010, 3067-3069. 20) A. Brown, K. Mullen, J. Ryu, M. Chmielewski, S. Santos, V. Felix, A. Thompson, J. Warren, S. Pascu, P. Beer, “Interlocked Host Anion Recognition by an Indolocarbazole-Containing Rotaxane” J. Am. Chem. Soc. 2009, 131, 4937–4952. 19) L. Zhao, K. M. Mullen, M. J. Chmielewski, A. Brown, N. Bampos, P. D. Beer, J. J. Davis, “Anion templated assembly of an indolocarbazole containing pseudorotaxane on beads and silica nanoparticles” New J. Chem. 2009, 760-768. 18) L. Zhao, J. J. Davis, K. M. Mullen, M. J. Chmielewski, R. M. J. Jacobs, A. Brown, P. D. Beer, “Anion Templated Formation of Pseudorotaxane and Rotaxane Monolayers on Gold from Neutral Components” Langmuir 2009, 25, 2935-2940. 17) A. Tarajko, A. Michota, M. J. Chmielewski, J. Bukowska, M. Skompska, “Electrochemical and spectroscopic characterization of poly(1,8-diaminocarbazole). Part II. Electrochemical, in-situ Vis/NIR and Raman studies of redox reaction of PDACz in protic and aprotic media” Electrochimica Acta 2009, 54, 4751-4759. 16) A. Tarajko, H. Cybulski, M. J. Chmielewski, J. Bukowska, M. Skompska, “Electrochemical and spectroscopic characterization of poly(1,8-diaminocarbazole). Part I. Electropolymerization and determination of the polymer structure” Electrochimica Acta 2009, 54, 4743-4750. 15) M. J. Chmielewski, J. J. Davis, P. D. Beer, “Interlocked host rotaxane and catenane structures for sensing charged guest species via optical and electrochemical methodologies” Org. Biomol. Chem. 2009, 7, 415-424. 14) M. J. Chmielewski, P. D. Beer, “Strategic anion templation for the assembly of interlocked structures”, in: Organic Nanostructures, J. L. Atwood and J. W. Steed (eds. ), Wiley-VCH, 2008. 13) M. J. Chmielewski, L. Zhao, A. Brown, D. Curiel, M. R. Sambrook, A. L. Thompson, S. M. Santos, V. Felix, J. J. Davis, P. D. Beer, “Sulfate anion templation of a neutral pseudorotaxane assembly using an indolocarbazole threading component” Chem. Commun. 2008, 3154–3156. 12) S. R. Bayly, T. M. Gray, M. J. Chmielewski, J. J. Davis, P. D. Beer, “Anion templated surface assembly of a redox-active sensory rotaxane” Chem. Commun. 2007, 2234–2236. 11) M. J. Chmielewski, T. Zieliński, J. Jurczak, “Synthesis, structure, and complexing properties of macrocyclic receptors for anions” Pure Appl. Chem. 2007, 79, 1087–1096. 10) M. Skompska, M. J. Chmielewski, A. Tarajko, “Poly(1,8-diaminocarbazole)-a Novel Conducting Polymer for Sensor Application” Electrochem. Comm. 2007, 9, 540-544. 9) M. J. Chmielewski, M. Pawlicki, N. Sprutta, L. Szterenberg, L. Latos-Grażyński, “Cadmium(II) and Zinc(II) Complexes of S-Confused Thiaporphyrin” Inorg. Chem. 2006, 45, 8664-8671. 8) E. Paśniczek, M. J. Chmielewski, P. Grzegorzewski, A. Kulesza, J. Jurczak, “An Improved Method for the Synthesis of Macrocyclic Benzodiamides and Dibenzotetraamides” Polish J. Chem. 2006, 80, 899-906. 7) M. J. Chmielewski, J. Jurczak, “Anion Binding versus Intramolecular Hydrogen Bonding in Neutral Macrocyclic Amides” Chem. Eur. J. 2006, 12, 7652-7667. 6) M. J. Chmielewski, J. Jurczak, “Anion Recognition by Neutral Macrocyclic Amides” Chem. Eur. J. 2005, 11, 6080-6094. 5) M. J. Chmielewski, Ł. Dobrzycki, J. Jurczak, K. Woźniak, “Unusual anion-anion self-assembly inside a macrocycle-defined channel in the crystal lattice” Cryst. Growth Des. 2005, 5, 1339-1341. 4) M. J. Chmielewski, J. Jurczak, “A hybrid macrocycle containing benzene and pyridine subunits is a better anion receptor than both its homoaromatic congeners” Tetrahedron Lett. 2005, 46, 3085-3088. 3) M. J. Chmielewski, A. Szumna, J. Jurczak, “Anion induced conformational switch of a macrocyclic amide receptor” Tetrahedron Lett. 2004, 45, 8699-8703. 2) M. J. Chmielewski, J. Jurczak, “Size complementarity in anion recognition by neutral macrocyclic tetraamides” Tetrahedron Lett. 2004, 45, 6007-6010. 1) M. J. Chmielewski, M. Charon, J. Jurczak, “1,8-Diamino-3,6-dichlorocarbazole – a promising building block for anion receptors” Org. Lett. 2004, 6, 3501-3504.